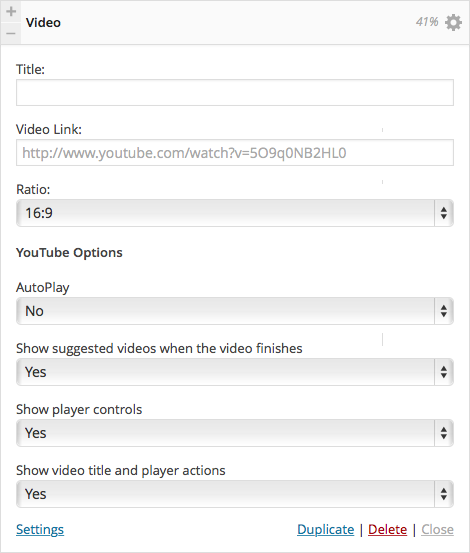 The video widget is a great way to embed a youtube or vimeo video in the easiest and simplest way, without having to copy and paste any codes. Especially useful for your Home Page or in any widget area in your site. Title: In this feild insert the title you would like to be displayed above the video.